We are the service provider of Aluminium Powder Coating Service. Under the guidance of our experienced professionals, we have been able to offer the commendable range of Aluminium Powder Coating Service to our valuable clients. We are able to meet a variety of client requirements. 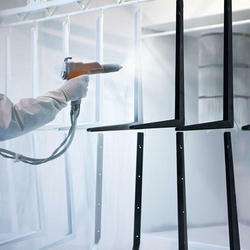 In addition to this, these powder coating services are admired for its low cost, perfect coating, and timely execution.